Survey Money Machines looks like a legit survey site at first. But is Survey Money Machines a scam, or is it really one of the great survey sites? I have joined and tested the site myself – it has both some good and some bad sites. However, it might not offer exactly what you expect, and in this Survey Money Machines review I will show you what you will really get as a member, and why it is NOT worth it in my opinion. What is Survey Money Machines and what does the site offer? At first sight Survey Money Machines looks like most other survey sites. It is however not a regular survey site, where you can earn and get paid on the site itself. 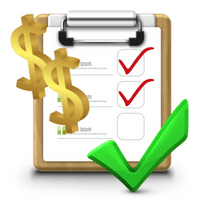 It is a survey aggregator, which means it just has collected a list of paid survey sites. The site is actually also honest about this, as it says this on the sign-up form, as you can see on the image below. The sign-up form says you will just get access to a list. I appreciate the site is saying this quite clearly compared to for example a survey aggregator like Survey Voices, where it is very unclear. But if you do not have much experience with paid surveys, it might still not be clear what this means. I will therefore give you an inside look, so you can see for yourself, and see some things you NEED to consider before joining. After you join, you first get to a section, where you have to fill out your profile info. This is quite normal for regular survey sites, as they need to be able to match surveys with your profile. It is however very unusual of a survey aggregator to ask so many personal questions, as Survey Money Machines does. I did not feel comfortable with this, as I knew it was just a survey aggregator and there is no need for them to have all this info. But they ask a lot of info, before you get to the members area. As with most survey aggregators, Survey Money Machines’ members area does not offer much. It just offers a list of survey panels they get paid to promote to you. You only find little information about each survey site, and in my opinion it is not very useful information to help you find the best options for you. Example of one of the legit survey sites Survey Money Machines promotes. However, in their defense I must say that all the survey sites I saw promoted there, like for example GlobalTestMarket as the image above shows, are legit. Also, the list is quite long compared to some similar sites. Some survey aggregators also promote sites that are not legit, but that does not seem to be the case for Survey Money Machines. The info is however in my opinion very superficial, and you will also find many sites on the list that are not worth joining. In addition to this, the site has a number of warning signs that makes me not trust its recommendations – I will share this with you a little later in this review. A very important thing you need to know about survey aggregators in general is that you do NOT get paid on these sites. 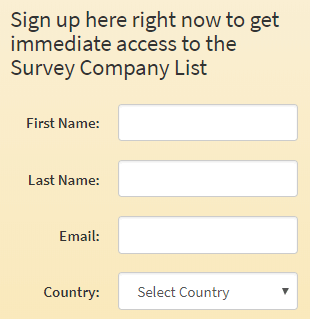 They are basically just giving you a list of survey sites. You then have to go to these survey sites and sign up, and you will get paid on each on these sites. This is also how Survey Money Machines works. You do not actually get paid by the site. Compared to other similar sites Survey Money Machines does however have an option to earn on the site itself. You can see something called lifepoints, after you have logged in. You can supposedly earn points on Survey Money Machines itself. To access this, you need to create a password. For that you get 500 points. It looks like you can get surveys there, but I have not seen any there. Also, it says you need to earn 2,500 to get a gift card. 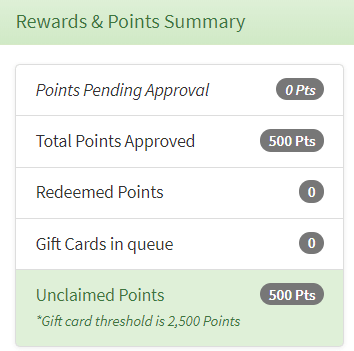 You can however not see any information about what kind of gift cards, and how you will earn these points. I am therefore not convinced that this actually a real way to earn – I have not experienced it myself. If you have, I would love to hear from you in a comment below. But in general, you should not expect to get paid by Survey Money Machines itself, and it is not on this site you will earn, but on the sites it refers you to. Legit survey sites definitely in general have great reward options like for example cash through PayPal, Amazon e-certificates, Bitcoin, gift cards, and more. So survey sites are a great way to make some extra money, but Survey Money Machines is just not a good option for this in my experience. So far you can see that Survey Money Machines does not really offer much, but it is also not dangerous to join. I did however find a few warning signs on the site I want to share with you, as these signs make me strongly doubt how much I can trust this site and the supposed owner. Let me explain these warning signs, so you can see and judge for yourself. It is always a good idea to check who the owner of site is, to get an idea about how trustworthy it is. Survey Money Machines has an about page, and you can read on the website that the owner is apparently a woman called Hailey. There are even several images of Haily throughtout the website. There is however not much more info about who she is. But most importantly of all, I thought the image looked too much like a stock photo and decided to run the image through an image recognition software. Here is what came up on Google. The image of the owner seems to be a stock image – it is used on A LOT of other website as well. The above image shows just a few of the pages where Hailey’s images is also used. 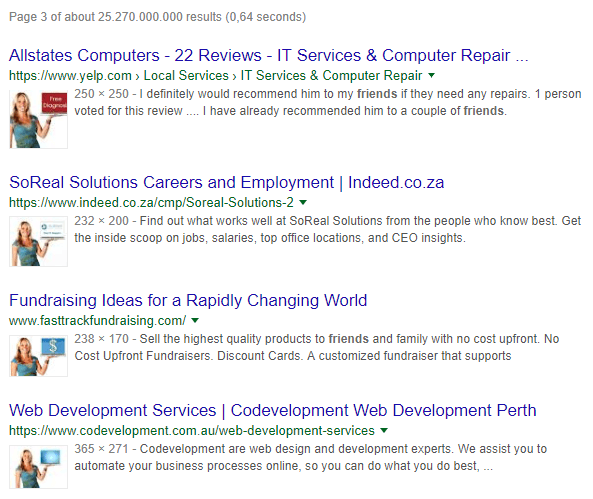 As you can see at the top of the image, this is only a few results on page 3 out of A LOT more sites that use this image. The image is used for all kinds of promotions, and it seems very much like it is a stock image people have bought and used for their promotions of all kinds of different products. It can of course be that Hailey is a model and have images on stock photo platforms. But this does not sound very likely, does it? When a site seemingly use a stock photo to present the owner, I think there are good reasons to be suspicious. If it is a high quality site, why then not just show us the real owner? In general Survey Money Machines does not make a lot of exaggerated claims on the sales page. But there are several articles on the website that explain, how it is possible to make a living by taking paid surveys. There are several articles on Survey Money Machines claiming you can make a living by taking surveys – be careful about believing this. They are all quite short and superficial, and the solution according to the articles is to just join all the sites they recommend (and get paid to recommend). This is a big issue for me – it is definitely possible to make some really nice extra money by taking surveys. But giving people the impression that it is a way to make a living is just not realistic. Even if you join all the sites Survey Money Machines recommends, you should not expect to get enough offers to be able to make a full-time income. You should not start taking surveys, if your goal is to make a living from it. You will just end up being disappointed. Paid surveys are a great and very easy way to make some really nice extra money, and a great way to have your opinion heard at the same time. But you need to do it with the right expectations, and I think Survey Money Machines gives wrong expectations. At least the site is not claiming it will be super easy and fast to make a living like a site like Take Surveys for Cash for example does. But nonetheless I think it gives a wrong impression and expectations. Survey Money Machines gives some advice on the page. However, some of them will in my opinion and experience actually hurt your chances of getting the most out of paid surveys. You are for example told that the key to earn on survey sites is by joining as many survey sites, as you possible can. One of the suggestions you should be careful about following. It is definitely true that to get more chances of earning, it is a good idea to join several sites. But if you are new to paid surveys, it is a very bad idea to sign up for as many as possible. It will simply become too overwhelming. You will not have the time to get to really know the opportunities on each sites, and to get the most out of them, it often takes a little time to get to know the ins and outs of each site. I therefore usually recommend that if you are new, you should start by joining 4-7 of the top paying survey sites. This will give you a good amount of opportunities, but at the same time not be too overwhelming. You can then always join more sites later. Telling you that you should join as many as possible is mostly just beneficial for Survey Money Machines, as they will get a commission for each site you join. It is NOT beneficial to you. Another advice you have to be careful about following is that you are told to create a separate email address when signing up for survey sites. It can give you a lot of problems later, if you just create a new email without knowing what to be aware of. I regularly see this advice on websites that writes about paid surveys. It might seem logical, but just to tell this without giving more details clearly shows the lack of a deeper understanding about how paid survey sites works. There are for example many survey sites that pay out through PayPal. Most of these sites automatically pay out to the email address you registered with, as PayPal is attached to an email address. Many other rewards are also connected to the email address, so if you are not aware of this, you can end up getting problems, when you want your rewards. Sites that advice you to just create a new email without telling you what to be aware of when registering and requesting payouts, are in my opinion giving you advice that can potentially cause you a lot of problems. To me this is a sign they do not really know how it is to be a survey taker and how the survey sites work, but are just out to promote to you. Survey Money Machines is only available in four countries: USA, Canada, Australia, and the UK. However, no matter if you live in one of these countries or somewhere else, there are in my experience a lot better sites to join. You can check out the best sites in your country here. I am honestly not very impressed with Survey Money Machines. But it does have a few good sides as well. So let’s sum up the pros and cons, so you can get a better overview before deciding, if it is worth joining for you or not. Overall Survey Money Machines is better than some other survey aggregators, as it only promotes legit survey sites. It is however in my opinion still a complete waste of time. The info you find is superficial, and it is not focused on giving quality information that can help you find the best opportunities for you, but more on promoting. Therefore, you also get several poor advice that can cause a lot of problems later. In addition to this it seems like they are hiding the true identity of the owner by using stock images. This is a bit suspicious in my opinion. If you want to earn by taking online surveys, I would recommend not to waste your time on Survey Money Machines, but instead go to the list of the best survey sites in your country – all these sites are sites where you can earn on the actual sites, and earn great rewards. If you have any comments, questions, or have any experiences with Survey Money Machines yourself, I would love to hear from you in a comment below. Survey Money Machines is not an actual survey site. You cannot earn on the site itself, and it just gives you a list of other paid survey sites. It only promotes legit survey sites, but it has several warning signs, as it uses a stock image to represent the owner, it collects a lot of unnecessary private info, and gives poor advice. It is therefore NOT a survey site I recommend.